Houses & Homes VA: Yes, I Said Bake Cookies! Yes, I Said Bake Cookies! Real estate agents know just how effective an open house can be. If done correctly holding an open house can not only help to sell the home that is being shown but can find buyers that are interested in other homes as well. An open house can be a goldmine if it’s done correctly but it can be a disaster if it’s not. Here are my 6 tips on the right way to manage your next open house event. I know this is a “no brainer” but believe it or not I’ve seen some open houses that were definitely not ready to be shown. From a home that was cluttered with too much furniture to dirty curtains I’ve seen it all. If the home is not in its best possible condition you are wasting your time and worse, you are hurting your reputation with possible future clients. And don’t forget, staging is just as important as cleanliness. It’s always best to hold an open house at the same time that other homes in the neighborhood are doing the same thing. 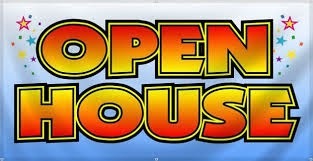 When house hunters go looking they will stop at every open house that appeals to them. Many times buyers will come to see a particular home only to discover one down the street that they like even better. If it’s possible try to plan your house viewing when others are doing the same. That’s right, I said cookies! Sound silly? It’s actually not. Nothing makes a house fell more like a home than the sweet smell of fresh baked cookies! Don’t be afraid to ask the homeowner to whip up a batch or two before it’s time to receive visitors. Add some refreshments and you have a very pleasant and “homey” open house that everyone can enjoy. Make sure that you have sign in sheets for visitors and don’t be afraid to ask them for their signature. The worse thing they can say is no but if they are taking the time to show up at your open house they are usually pretty serious about buying. If not this particular home, what about that new listing you just got last week? Don’t be shy, ask everyone to sign in and make sure there is a place for them to put their email and a phone number, you never know. Unless you give people a reason to remember you they probably won’t. That’s just the way it is in the real estate biz. Make sure to print out some high quality fliers to hand out to people that highligh the major selling points of the home. Just as importantly be certain that your information is there as well. Sooner or later homebuyers need to speak to an agent, right? It may as well be you! It’s no big secret to experienced agents. The best time for open houses is on a Sunday between 1:00 p.m. - 4:00 p.m. That doesn’t mean that no one will bother stopping in at 11 in the morning or 6 at night but these 3 hours are the best time to show a home.